We can help with all types of transfers, and specialize in helping students navigate transfers from a two year Community College to a four year College or University. We offer a 90 minute Transfer Planning Consultation during which we are able to evaluate transcripts, set goals, look at timelines and checklists related to the transfer process, and plan a course of action. The fee for this consultation is $250. Generally, we are able to provide a great amount of information and direction to transfer students during this 90 minute session, and most students leave the session feeling that they have sufficient information to complete the process themselves. However, if a client needs additional time and direction we also offer an "Unlimited Transfer Planning Package". 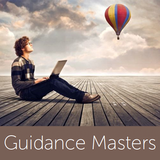 This package offers step-by-step help with application completion and unlimited access to Guidance Masters professionals throughout the entire process until the transfer application is completed. Topics covered in our sessions will include (but are not limited to): Career planning, Selection of Major/Minor, Employment Outlook, College/Training Program Selection, Advance Education Requirements, TAA and TAG Applications, Personal Statements, Building a Resume, and Internships/Work Experience. Make an Assist.org account. Use this tool and planner to map out classes and deadlines! NOTE: If you are planning a transfer to a UC or CSU campus, keep in mind that Fall Applications for transfers are happening now. Most TAG (UC Transfer Admission Guarantee) applications close Sept. 30. There are 6 UC campuses who utilize TAG: UCR, UCI, UCD, UCSB, UCSC, UCM. The other three (UCLA, UCB, UCSD) say they are "transfer friendly". Remember to check deadlines for Spring Transfers, and visit our online Resources section for helpful links. CONTACT US today to make an appointment. Ask about our Scholarship Rates if you are a CC student on financial aid.